Conferencia Cris Bolívar Talentum 360. Costa Rica. Languages: Spanish, Catalan, Italian and English. From childhood I was very clear that I wanted to study Psychology, the mystery of the soul of the human being fascinated me. All my professional and personal trajectory has centered on this discovery, exploring ever more deeply and from different perspectives the Consciousness and its Awakening. That longing led me to study Philosophy, to live and to deepen in different mystical currents and to explore the art in different facets. After having my beautiful daughter and currently married to Ricard Rotllan, I have found in him the wonderful being with whom to share life and mission: To facilitate the human being to develop spiritually, reconnect and release his inner wisdom, to use his full potential … because I believe in a better world, with people who are in connection with their wisdom, ethical, honest and loving, in contact with their essence. These were some of the reasons that resulted in the creation of Essential and Essential Coaching … and in short, to explore and use everything that is useful to help people to live more fully and with more sense The areas of its life, applying it also to the social and organizational sphere. The result of these almost 30 years of work: Essential Institute. … May wisdom accompany you. Founder and CEO of Essential Institute. International coach, consultant, trainer, mentor-coach and speaker. 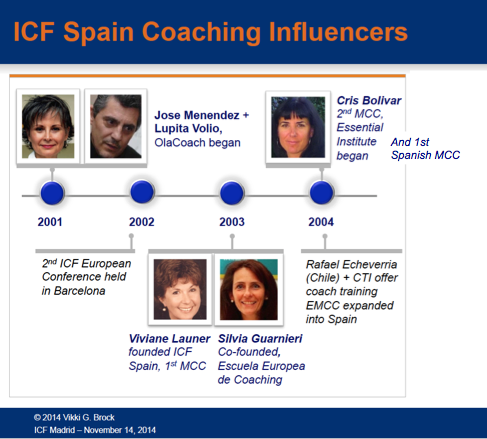 MCC, Master Certified Coach – ICF (International Coach Federation, USA), first Spanish coach to obtain it in 2004, with over 10.000 hs of coaching. Influencer of coaching in Spain. Mentor-Coach Registered by the ICF (as MCC, she can monitor and mentor ACC, PCC and MCC coaches). Creator of Essential Coaching (2005). Co-creator of Enneagramatic Sistemic Configurations (2014). Past vice president of ICF-Spain. Graduated with honours in Organisational Psychology, University of Barcelona. Graduated with honours in Philosophy University of Barcelona. Master Consultant in Organisational Development and Process Consulting (Israel). Accredited Enneagram instructor by the International Enneagram Association (IEA). Raja Yoga meditation, Brahma Kumaris Spiritual University (India). Buddhism studies. She was received the teachings of S.S. Dalai Lama in India. Cris Bolívar en la Wikipedia. International Essential Coach, consultant, trainer, mentor-coach and speaker specialising in personal, organisational and social transformation for more than 25 years. Master Certified Coach (MCC) by the International Coach Federation (ICF) (USA), 2004, with over 10.000 hs of coaching. Influencer of coaching in Spain. Mentor Coach registered by the ICF. Creator of Essential Coaching (2004). Co-creator of Enneagramatic Sistemic Configurations (CSE) (2014). Graduated with honours with a Organisational Psychology degree from the University of Barcelona-UB (Barcelona). Chartered psychologist number 08152. Degree in Philosophy, whith honours, from the University of Barcelona -UB (Barcelona). Master Consultant in Organisational Development and Process Consulting by the GR Institute for Organisational Development, Tel Aviv (Israel), by Itamar Rogovosky. Accredited as an Enneagram instructor by the International Enneagram Association (IEA). She has been an academic collaborator at ESADE, where she was part of a team advised by Richard Boyatzis for the development of leadership skills. Academic assistant at the University of Barcelona-IL3, among other international universities and business schools. She has provided services at numerous private companies and national and international government agencies on topics such as value-driven management, competency-driven management, strategic planning, cultural change, communication, coaching, executive development, emotional intelligence, team building, etc. She was director of the “Coaching Expert” course at the Hune Institute (Madrid), the ACSTH program in the process of being accredited as ACTP by the ICF. 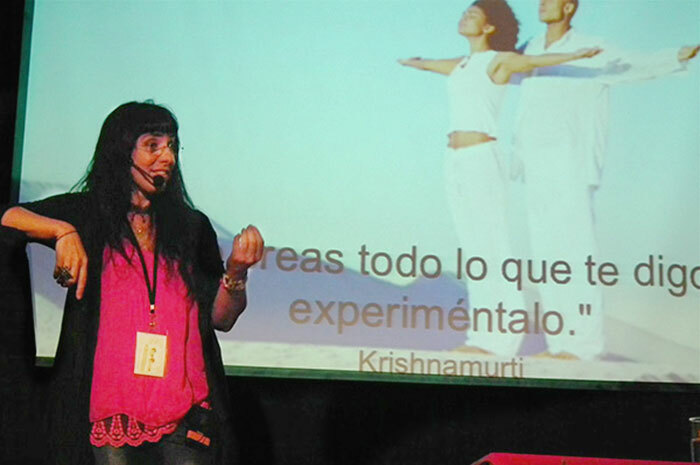 Co-Director of the “Essential Coaching and Inner Wisdom” course organised by Arrese Coaching and the Huarte Foundation in San Juan for the promotion of Psychology. Creator and director of the Comprehensive Training Program in Essential Coaching, (from this first edition by 2005, certified program as a ACSTH by ICF), the Comprehensive Training Program for Teacher Coaches, the Essential Coaching for Teams and the Trainer-Coach Training Program in Essential Coaching. Official Degree in Teacher Training, Generalitat of Catalonia. Postgraduate Degree in Comprehensive Communication and Image in Organizations from ICOMI (Barcelona). Trained in Voice Dialogue — personal growth workshops — with Elena Dragotto. “Leadership, emotional intelligence and developing them from a complexity perspective”, ESADE – Richard Boyatzis. Trained in “Introduction to the Art and Science of Ontological Thinking” by Humberto Maturana — Instituto Matríztico (Chile). Family and Professional Constellations by the Institut Gestalt. Sufism Naqsbandi studies and sufí Enneagram in the Sufí Naqsbandi Order known as the Wisdom Masters School (khwajagan) o the Love’s Way, where she was iniciated by the spiritual leader of the Order Mawlana Gran Sheikh Nazim Adil (Cyprus, Turkey). Origen of the teachings of Enneagram a Gurdfjieff. Various Kabbalistic-focused workshops with Daniel Ben Yitzhak (Israel) and “Introduction to Kabbalah” workshop with Mario Saban. Level 3 in Janosh (activation and energy therapy). Lacanian Psychoanalisi studies (by Sección Clínica, Barcelona). Nivel 3 of Janosh (activación y terapia energética). Past vice president of ICF Spain (International Coach Federation) and former promoter of the ICF’s Spanish-speaking Certifiers Team (International Coach Federation). 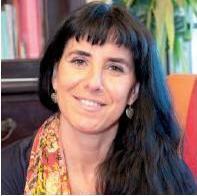 Honorary Director of the “Institute of Emotional Learning for Education”. Directed by Pedro Flores. Chile. Member for 15 years of the Advisory Committee of the FH (Factor Humà Foundation), a foundation for good management of human resources founded by Mercé Sala. Collaborated as Advisor to the Coaching Section in the Human Resources Department (www.arearh.com). Member of the Enneagram Association and the International Enneagram Association – IEA -) and Accredited Enneagram instructor. Honorary member of the Cámara Internacional de Conferencistas (CIC), acredited speaker. Member of GROP (Grup de Recerca per a la Orientació Pedagógica — Emotional Intelligence research, University of Barcelona). Frequent speaker at various forums and symposiums, TV and radio, such as the Ofici de Viure program directed and conducted by Gaspar Hernández, which she has appeared in since 2009. Painter and poet. View the work and aforisms. The collection “Contemporary History of Catalonia – Who’s Who in Catalonia”, with a foreword written by Jordi Pujol, chose Cris Bolívar as a relevant figure. September 2001. Demonstrating that you have completed at least 2,500 hours of coaching. Having your professional quality be recognised by various recognised and certified coaches. Showing that you have invested more than 200 hours of coaching training, besides having other related knowledge. Showing that you have the core competences necessary to be a good coach. Demonstrating that you have followed a process of mentoring and supervision in coaching. Establishing that you have helped to develop coaching (lectures, books, training, etc.). Successfully passing several tests created by other MCCs: a written test, an oral test and monitoring of various real-life coaching sessions. Cris Bolívar is the first Spanish professional who has obtained this certification (2005), and she currently boasts over 5,000 hours of coaching. ICF is the largest independent, non-profit professional association in the world, with more than 5,000 members and 179 chapters in 30 countries. Accreditation as an Enneagram instructor is the highest accreditation category granted and certifies advanced knowledge, both for personal use and for teaching. 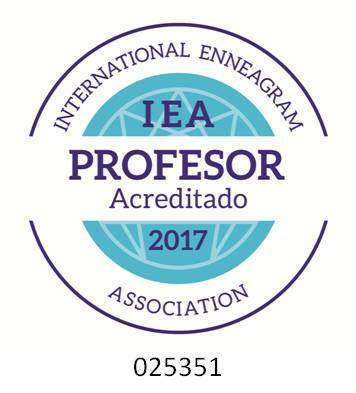 Aeneagrama offers international accreditation for teachers, professionals and Enneagram enthusiasts. It is a hallmark of excellence in quality offered, ensuring that students are formally committed to the IEA code of ethics. To be accredited as an Enneagram instructor, among other requirements, students must have completed at least 240 hours of training with Aeneagrama-accredited or IEA-accredited instructors. Programs taught as an Enneagram instructor are overseen by the Accreditation Committee. Provide recommendation and performance evaluation letters as an Enneagram instructor. Provide a degree related to the area. Practical experience, related publications, attendance at Enneagram conferences and congresses, etc. To be Mentor-Coach Registered by International Coach Federation (ICF) means pass an exam as a Mentor-Coach to be mentor of other coaches. To be also MCC, its possible to mentorice and supervice ACC, PCC and MCC, in order to pass the next ICF exam or as a continous development of the coach. View articles, books, interviews and other related publications on this website.